Often described as the culmination of the French Enlightenment, the Encyclopédie was collected not only to serve as a comprehensive reference work, but to “change the way men think” about every aspect of the human and natural worlds. In his celebrated “Preliminary Discourse” to the compilation, d’Alembert traced an entire history of modern philosophy and science designed to chart the way toward a sweeping Baconian project of improving the world through usable knowledge. This anthology is the first endeavor to bring together the most significant political writing from the entire twenty-million-word compendium. It includes eighty-one of the most original, controversial, and representative articles on political ideas, practices, and institutions, many translated into English for the first time. The articles cover such topics as the foundations of political order, the relationship between natural and civil liberty, the different types of constitutional regimes, the role of the state in economic and religious affairs, and the boundaries between manners, morals, and laws. 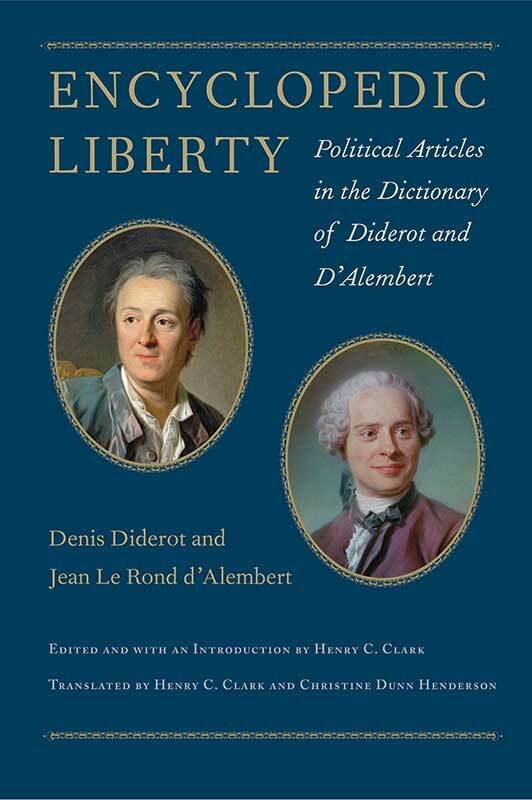 In addition to Diderot’s early and important articles “Political Authority,” the “Citizen,” and “Natural Right” and the substantial treatments of subjects such as the “Legislator” (by Saint-Lambert), “Representation” (by d’Holbach), “Population” (by Damilaville), and “Political Economy” (by Quesnay), the anthology will also introduce to many English-language readers the tireless figure of Chevalier Louis de Jaucourt (1704–80), who wrote about 18,000 articles, or about 25 percent of the Encyclopédie. Jaucourt’s numerous articles on political topics did much to solidify the new political teachings of the natural-law tradition, the English Whig writers, the Huguenot diaspora, and particularly Montesquieu, whose Spirit of the Laws had appeared shortly before the first volume of the Encyclopédie itself.